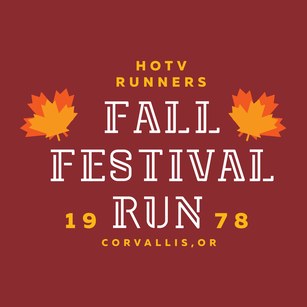 Heart of the Valley Runners’ 40th annual Corvallis Fall Festival Run takes place on Sunday, September 23 in conjunction with the annual Corvallis Fall Festival, the area’s largest art festival. The run starts and ends in the park near Campus and SW 11th Streets. Proceeds from the race go back to the community to encourage and support local running at all levels. The morning starts off with the kids 1k run at 8:30am. Then the 5k and 10k start together at 9am, taking runners on a tour of the beautiful OSU campus. The 10k follows an out-and-back course, starting west on Campus Way, south on 26th St, including a loop around Reser Stadium, north on 30th St and west again on Campus Way to the turnaround point. The 5k course is a loop, starting the same way as the 10k, but at mile 2.5 it turns east on Campus way to head back to the start/finish right away. Registration is now open, and prices will go up on September 1. Heart of the Valley Running Club members receive a $10 discount off race registration, and you have the chance to join the club during the registration process ($20 individual, $30 family, $10 student membership). Registration cost: 5k/10k Adult: $20 (through Aug 31), $30 (Sept 1-20), $40 Day of Race. 5k/10k under 18: $20. Kids run $5.